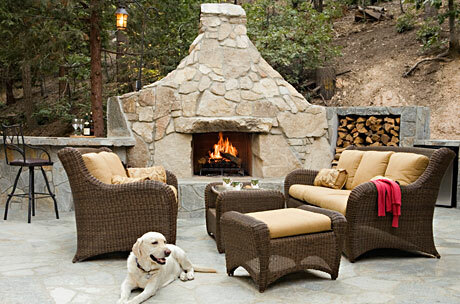 Ponderosa Lodge is luxuriously comfortable and perfect for family or small group entertaining. You’ll appreciate every detail as it has been beautifully transformed to sleep 13. One master suite with a queen size bed is on the main floor along with a bunk room that sleeps seven. Two private rooms are upstairs; one with a queen size bed, the other room with two twin beds. Surrounded by beautiful antiques, hand-crafted furniture and original paintings, you will be delighted to stay indoors even as all the great outdoors awaits you. Central and dominant to the living room, a large, wood-burning fireplace with stone hearth creates a perfect interior setting for intimate small gatherings of family and friends. Take your pick—flickering fires, games or quiet moments to read and reflect—with everything you need within reach, there’s time to do it all. 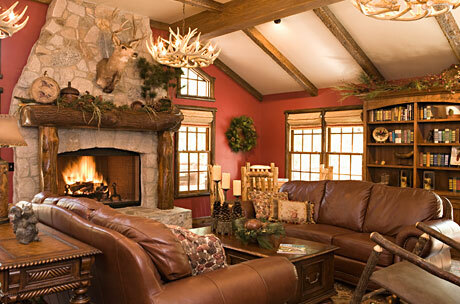 The Lodge offers more than 2,000 sq. ft. of private patio with barbeque, fireplace and magnificent forest views. WiFi/Cable/DVD player. Pine Mountain Camp has been an extraordinary experience for us. The events wev'e attended there have been in a setting that takes us back in time, where the charm of the buildings and attention to detail in the architecture as well as the furnishings are truly unique and special. The perfect getaway for family and friends to enjoy for special occasions.